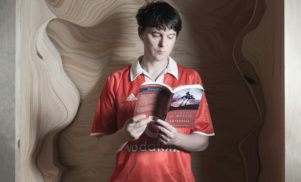 Panda Bear Meets the Grim Reaper - FACT Magazine: Music News, New Music. As the title implies, it’s about death. So why does Panda Bear Meets The Grim Reaper frequently sound so serene? Noah Lennox, Animal Collective founder and prolific solo artist, says he picked it as a nod to those old Jamaican dub and reggae collaborations – a studio meeting with the cowled one himself. But if those records were often huffed up on fire and brimstone, living in fear of Babylon, …The Grim Reaper reminds us that Animal Collective have always had a rather more easy relationship with the macabre; think the goo-splattered B-movie horror of ODDSAC, or the bristly outer-space weirdness of Centipede HZ. The prospect of mortality seems terribly final, but fantasy gives you a way to dream your way out of the darkness. If Lennox’s fifth solo album as Panda Bear often does feel idyllic, it’s surely in large part because he’s worked hard to realise his more homely, down-to-earth dreams. Today ensconced in Lisbon, Portugal, where he lives with his wife and two young children, Lennox lives out the humble and apparently happy existence he longed for on Animal Collective’s ‘My Girls’. Discussing the genesis of Panda Bear Meets The Grim Reaper, he’s talked about drum-powered music – dub reggae, producer 9th Wonder, and the boom-bap sound of ‘90s hip-hop. 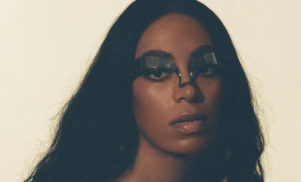 At its root, though, it cleaves close to the formula Lennox realised wonderfully on 2007’s Person Pitch: samples crushed, treated and reconstituted into ramshackle, rhythmically cyclical loops that sound like ocean waves crashing against some rickety old jetty. That it not only works, but charms, is to Panda Bear’s credit. The constituent bits of ‘Mr Noah’ – a cacophony of dog barks and whimpers, electronic blurts and thunking drums – are bizarre. With Lennox’s blue-eyed chorus drizzled over the top, though, singing boldly about some unfortunate hound that got bit on the leg (“Don’t want to get out of bed/Unless he feel like it justified”) it becomes something positively joyful. Certainly, this feels like the most developed and least abstract Panda Bear album to date – in part thanks to the returning presence of co-producer Sonic Boom, the former frontman of Rugby drone-rockers Spacemen 3, who also worked with Lennox on Tomboy. Big-hearted chorale ‘Crosswords’ and the ‘Principe Real’, an optimistic blend of twinkling electronics and boom-clap drums, boast more layering than an Arctic winter. Even on ostensibly pared-down moments such as cascading piano fugue ‘Lonely Wanderer’, the pair work to pack out every inch of the sonic space, with modular synth lines squiggling away like hungry caterpillars. Crumbly, broken-down electronic interludes in the shape of ‘Davey Jones’ Locker’ and ‘Shadow Of The Colossus’ confirm Lennox’s commitment to rough edges, but even when aiming for beauty, Panda Bear wants you to see his joins, the roughness of his stitching. So where’s the death? Well, we’re getting to that. If there is one point of continuity to Lennox’s work, it’s songs about his troubled mental state – not revelling in the gloom, but finding ways to handle and dispel a depression that sometimes looms up like a storm cloud. ‘Take Pills’, from Person Pitch, was about coming off of anti-depressants. Here, we can hear Lennox try to own his psychosis – “Are you mad?” he repeats on ‘Come To Your Senses’, before concluding “Yeah, I’m mad.” The brilliant ‘Boys Latin’, meanwhile, sets a bassline of bubbling electronics over which Lennox’s vocals explode in ecstatic, out-of-step call-and-response. It’s a short song at just seven lines long, but what’s within grapples with the gulf between man and animal, and the torture of self-consciousness. “Beasts don’t have a sec to think/But we don’t appreciate our things,” he sings, as dark clouds mass on the horizon. The album’s standout – and up there with the best songs that Lennox has ever written – is ‘Tropic Of Cancer’. It’s an elegy for his late father, who died of brain cancer in 2002 and has already been commemorated on 2004’s fraught Young Prayer. Lennox’s approach here, though, is one of almost holy acceptance – he told FACT’s Aimee Cliff it was about “trying to be sympathetic towards disease, as far as it being something that’s just trying to propagate and continue its own existence”. It starts off with a deep, Last Post-like horn peal, and then proceeds, via some ghostly ambience, into a gentle, phantasmagoric doo-wop number set to picked Hawaiian guitar. The lyric is heartbreaking – “sick has to eat well too,” he sings – but the song is so pretty, you could easily imagine it soundtracking some daydream-y Disney montage (a take-home fact from Pitchfork’s recent Panda Bear profile is that Lennox is a fan of The Jungle Book soundtrack). So there’s the titular grim reaper. He’s there, and he’s not going far, so might as well make peace with him. 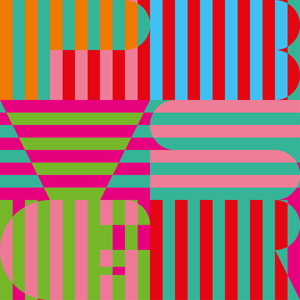 Panda Bear’s fourth full-length is a mature album of peace and reckoning, one that weaves ghostly textures, plumbs watery depths, but ultimately happens on something comforting and tranquil. Noah Lennox knows that troubles are not so far away – but that an uplifting song, a loop beaten into life, can keep them at arm’s length.